What we are suggesting is a “submergence” theme, a photo-op involving people standing semi-submerged in water – holding a banner saying “Zero Carbon Britain before we drown” (or, say, "Zero Carbon Britain or we are in deep water" or whatever you consider most appropriate). This would be most effective if it is a body of water that is part of a local landmark or is locally iconic in some way. It could be the sea, or more ambitiously, a local river. Here in London we are hoping to do this at an appropriate place in the River Thames, and combining this with a Zero Carbon Beach Party. This will be quite an ambitious stunt, and we will need to research the safety issues - obviously you will need to fully research any safety implications for whatever you do, too. On the other hand it need not be daunting, or complicated at all, it could be really simple like standing in a fountain or even tub of water. By doing this we can bring together a number of actions/events all around the country which will make a really striking united image. So bear in mind that whatever you do on this theme should gain power from being part of this wider effort. Hopefully it can be easily added or tied in to whatever else you might want to do as well! If you organise something, be sure to let us know by e-mailing info@campaigncc.org and we can promote it on our website. This could take the form of booking a meeting at his/her surgery, if the MP has a surgery on the 16th July – or as close as you can get to the 16th Or you could write to your MP to ask for a special meeting outside of surgery times. Alternatively it could take the form of handing in a letter or petition at the surgery, asking the MP to sign EDM 853. You could combine this with another activity, perhaps doing a bike ride to the surgery or local press call and photo opportunity. Through this you can search for your MP, find information on whether they have signed the EDM 853 or the previously tabled EDMs, how to contact them, when and where there surgery is, and whether another CCC supporter has set up a meeting with your MP that you could go along to. If your MP has already signed the EDM, you can hold a meeting and invite your MP to speak or ask them to speak at another local public event. Another idea would be to gather signatures in favour of the EDM beforehand, for a petition to hand in on the day. Whatever you want to organise for ZCB day can be part of a wider long term campaign around the EDM. EDM 853 is the most radical statement for urgent action on climate to be found in a parliamentary context. We want to get more MPs, more people in general, talking about this kind of radical action more often. This way we can begin to influence the debate in the direction we want to, towards the quantum leap in scale of response to the climate emergency that’s required by the actual science. There are plenty of other things you can do on the day. The Centre for Alternative Technology’s Zero Carbon 2030 report is an important resource - you could organise a presentation, hold a meeting, workshop or debate around it. Otherwise a cycle ride, a procession, a rally, a carnival, a fair, street theatre, a Zero Carbon picnic, a Zero carbon by 2030 banner-hang. a gathering at a renewable energy installation, a protest at a fossil fuel installation, a lobby of your council... all are possibilities. Whatever works best for you in your area to promote the goal of Zero Carbon by 2030 Don’t forget to contact other groups in your area who may be interested. See more about 'Zero Carbon by 2030' here. In Kirklees, Yorkshire, they have already had their own Zero Carbon Britain Day (we're following in their footsteps with a National Day) - see what they did here. For more about the EDM promoting Zero Carbon Britain by 2030 see here. For model letters to your MP (asking them to sign it) see here and here. For notes to the EDM (background info for your MP) see here. 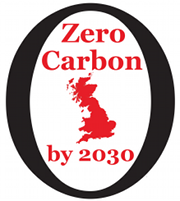 If you are organising, or even just thinking about organising, anything for Zero Carbon Britain Day, please let us know at info@campaigncc.org - we can provide you with help and advice.